Join us for the first Docos for Difference film night for 2019. Directors Antoinette Wilson and Jordan Osmand have bought together stories from their travels around New Zealand along with interviews with experts able to explain how we come to be where we are today. From forest gardens to composting toilets; community supported agriculture to time-banking. 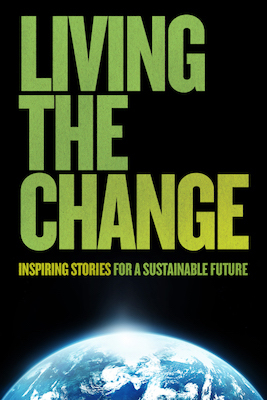 Living the Change offers ways we can rethink our approach to how we live. We all have the power to create change. This film sets out to inspire us to do just that. There are so many exciting and inspiring initiatives in the community and this film aims to generate discussion to help us be part of a positive future. Food: Bring a plate to share. We may order pizza by donation on the night. We will break for tea. Bendigo Sustainability Group is endorsed by the Australian Taxation Office as an Income Tax Exempt Charity (ITEC) with Deductible Gift Recipient (DGR) status. Copyright © 2014-2018 Bendigo Sustainability Group. All rights reserved.